July marked the 50th year anniversary of President Lyndon B. Johnson’s signature, creating the federal and state health care program called Medicaid. 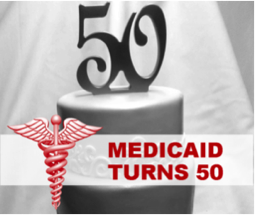 In 1965, Medicaid was designed to provide health care for people as well as serve the many different needs of everyone in the country. Today, the program provides health care to one in every five Americans. Medicaid has also provided help in health care coverage when certain life events occur within a family – losing a job, having children with disabilities, needs for seniors and their families, etc. Medicare, which was created at the same time, was meant to cover health insurance costs for seniors during retirement. The one thing legislators did not include in Medicare was payment for costs of long-term care. Those were excluded specifically because even in 1965 it was anticipated that life expectancies would continue to get longer and the true future cost of long-term care was so hard to predict, they felt it better left to Medicaid to be used as a fall-back if people ran out of money to pay for care. Over 50 years, the program has evolved. On June 8, 1988, Congress passed the Medicare Catastrophic Coverage Act of 1988 (MCCA), which was signed into law by President Ronald Reagan on July 1, 1988. This added the first-ever “Spousal Impoverishment” provisions for long-term care Medicaid as a result of seeing so many families have to spend down assets while a spouse lived in the community and needed those funds. There was never a penalty for gifting assets to qualify and there continues to be no penalty for gifting assets to qualify for health insurance. However, thirty years later President Clinton signed OBRA ’93 on August 10, 1993. It added a 3-year look back and penalties for gifts and uncompensated transfers. Additionally, OBRA ’93 included the first ever requirement for states to implement estate recovery which was intended to recoup the costs of long-term care from seniors who were still allowed to keep their homes as exempt assets during the Medicaid eligibility process. Another decade later, George W. Bush signed the Deficit Reduction Act of 2005 on February 8, 2006. With the passage of the DRA, long-term care Medicaid eligibility rules were tightened even further. This included an expansion of the look back period to 5 years and a change in the start date of transfer penalties. 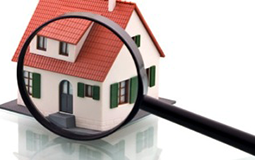 Additionally, at a time when home values were soaring, Congress enacted a cap on home equity limits for single long-term care Medicaid applicants. Over the next year the CMP™ Governing Board will be highlighting changes to Medicaid and incorporating historical content into its continuing education program. To have access to these programs and more, learn about getting certified at www.cmpboard.org.